Hello Judy, can you give us a brief introduction of yourself and let us know what you do in Infinity Stones? 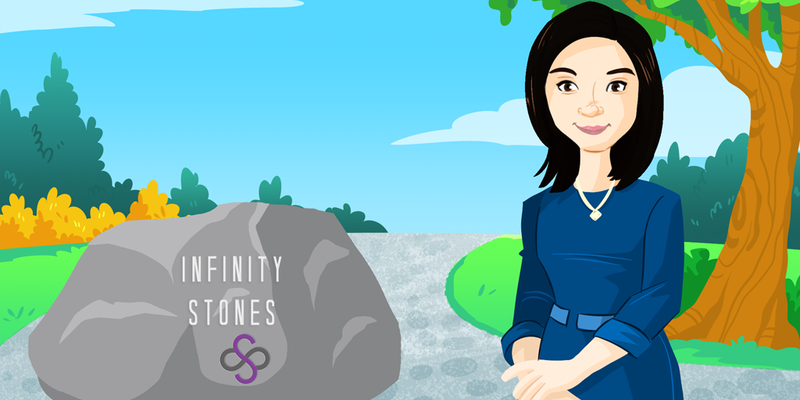 I am Judy Yan, the co-founder of Infinity Stones, as well as the Managing Director at Danhua Capital. I am in charge of the strategic planning and investor relations at Infinity Stones. Can you please let the audience know what is Infinity Stones and what have you been doing in the past? Infinity Stones is a silicon valley based technology company that specializes in both cloud management platform and cyber security protections for blockchains. Our team is comprised of renowned scholars and faculties from top tier academic institutes in the world such as Yale, Columbia and Georgia Tech, and business leaders from established companies in the hi-tech and investment industries such as Google, Oracle, Intel, C3 IoT, UBS Investment Bank etc. Our engineering team has been developing a cloud management platform which provides a easy-to-use interface to manage the super node. Also, we will be offering cyber security service which provides a set of proprietary solutions to shield the super node from cyber attacks. We know that Infinity Stones is incubated and fully sponsored by Danhua Capital, a venture capital firm that has a rich background of advising hugely successful blockchain projects. Can you let us know more about Danhua Capital? Danhua Capital is an early stage VC fund with more than $700M in capital focused on investing in projects and technologies that have the potential to disrupt the world. It is founded by Prof. Shoucheng Zhang, JG Jackson and CJ Wood professor at Stanford University to bridge the technology innovations in Asia and USA. Prof. Zhang is identified as one of the top candidates for the Nobel Prize by Thomson Reuters. 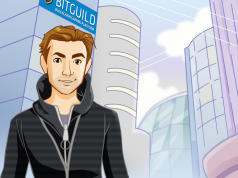 He is an early influencer in blockchain industry and believes the economic value of blockchain is “10 times more than that of the internet.” While it invests across all sectors, Danhu Capital’s blockchain portfolio is especially impressive including projects such as NEO, Aelf, Zilliqa, and Ontology – just to name a few. All of these groundbreaking projects have had valuation over $1 billion. Why does Infinity Stones decide to run for TRON SR election? We believe cyber security and reliable supernode management are the foundations of successfully running blockchain. Infinity Stones is keen to leverage our expertise in these two areas to boost the development of blockchain. TRON is one of the most popular next generation of blockchain, so it is our great honor to be part of TRON’s future. This is why we decide to run for TRON super representative. Your campaign slogan is “Security and Reliability, Fueling TRON Beyond Infinity”. Can you let us know how you plan on securing TRON network? The Infinity Stones is willing to provide security service to protect super representatives from malicious attacks. Blockchain services have been attracting a significant amount of cyber attacks. The mechanisms for such attacks typically include: exploiting 0days in the service software (esp. Remote exploits); DDoS attacks; Phishing service operators or social attacks. It’s worth noting that, unlike traditional software, Blockchain software tends to have more openness. As a consequence, it’s more vulnerable to cyber attacks because exploiting open source software is much easier than exploiting close source software. The Infinity Stones has a team of leading system security experts from both academia and industry. We have developed different types of firewalls for security protection. The Infinity Stones is very excited to collaborate with TRON on building up the verification tools for the dApps running on TRON. Smart contracts are open-sourced to hackers and immutable once deployed. Any hole in the smart contract comes with huge attack benefits for attackers but great damage for the blockchains. In12/2017, $630 million has been lost to hackers, and recently hundreds of billions of ERC20 tokens (e.g., SMT) was illegally transferred due to a batch overflow bug in the smart contract. The Infinity Stones has established a wide-range partnership with Certik to provide highest-level security auditing for all dApps running on the blockchain. What can Infinity Stones do specifically to help the growth of TRON? 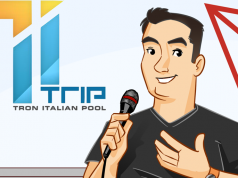 – Improve the TRON eco-system by sponsoring and incubating a large amount of good dApps projects on TRON platform. – Establish collaborations between TRON and research labs at Stanford and Columbia University, to solve the most challenging blockchain technology problems. It will keep TRON’s leading position in the blockchain area. Do you think you will be introducing decentralized apps on TRON platform? Yes. As a Managing Director at Danhua Capital, I have led a lot of investment as well as incubated a large amount of blockchain projects. These projects can migrate to or develop a version based on TRON, which will help build up the TRON’s eco-system. 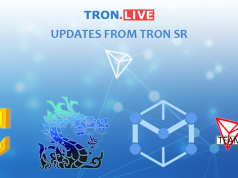 Will you have any future activities specifically to promote this TRON SR event and let more user know about Infinity Stones? Like a live stream, events, etc? Yes, we are planning meet-ups in West and East coast in the U.S. It is also likely that we organize some events in China. As mentioned earlier, Infinity Stones has assembled a well-connected team with strong technical background and deep understanding of the industry. By leveraging our relationships with other influencers in the industry and in the academic circles, we can help expand TRON’s influence in the academic community as well as in the industry. With full support from Danhua Capital, the world’s leading investor in blockchain technology, we can explore potential opportunities for collaboration between TRON and any of the technology companies invested by Danhua, which will create synergy in the business development. All these are not something other SR can provide to TRON’s ecosystem. Any last statement for the community before we close up? If Tronics share the same goal as us to make TRON a successful, secured and reliable next generation of blockchain, please vote for Infinity Stones, vote for the future of TRON. Infinity Stones, fueling TRON beyond infinity.